Arne Duncan gave an emotional last speech as Secretary of Education at St. Sabina. 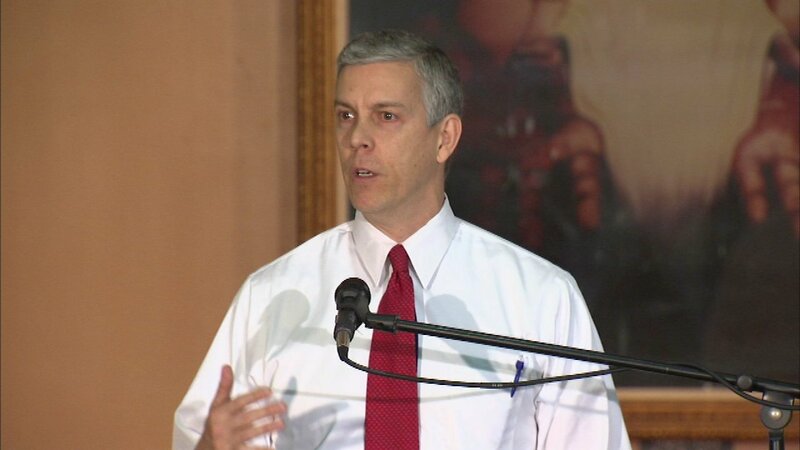 CHICAGO (WLS) -- Arne Duncan gave an emotional last speech as Secretary of Education on Wednesday. He was moved to tears while talking about children who have been killed by gun violence. "I leave you with one number: 16,000. In my first six years as Secretary of Education, that's the number of young people killed across our country," Duncan said. Duncan says violence in Chicago is an epidemic, and he will continue to work to save lives of kids through education. Duncan, a Chicago native, says he choose St. Sabina for his final speech, because it feels like home.